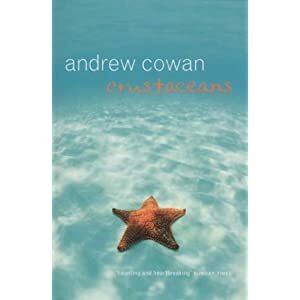 Andrew Cowan is Director of the Creative Writing programme at the University of East Anglia. 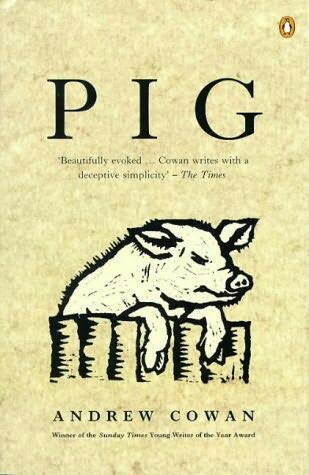 His first novel PIG was longlisted for the Booker Prize, shortlisted for five other literary awards and won the Sunday Times Young Writer of the Year Award, a Betty Trask Award, the Ruth Hadden Memorial Prize, the Authors’ Club First Novel Award and a Scottish Council Book Award. He is also the author of the writing guidebook THE ART OF WRITING FICTION and four other novels: COMMON GROUND, CRUSTACEANS, WHAT I KNOW and WORTHLESS MEN, which will be published by Sceptre in 2013. – one wet dinnertime, aged 11, I discovered a ragged copy of Anthony Buckeridge’s ‘According to Jennings’ on a neglected shelf in my comprehensive school classroom. It inspired me to ask my mother to send me to boarding school. She was having none of it. I wrote a short story set in a boarding school instead. I got a star. – aged 17, encouraged by Mr Drane, I found in Joyce’s ‘A Portrait of the Artist as a Young Man’ a mirror to my own anguished soul and imagined I might one day write a portrait of myself as a young man, once I’d become an older man. – aged 19, unhappy at art school, I bought a copy of Ian McEwan’s ‘The Cement Garden’ from an art supplies shop and discovered a more plausible portrait of myself, which made me wonder if I might be happier writing than painting. I left art school anyway. Other than these three moments I’m not sure I ever actually wanted to write books. It just sort of happened. I often imagine I’d be happier as a potter. It used to look very messy. I’d do a lot of decorating and other jobs around the house when I was writing. Now I have a day-job in academia, which means my writing happens in the margins of my academic existence. But if I have a whole day in which to do nothing but write…? There’s a lot of sleeping and television involved. I begin with automatic writing, screeds of barely legible handwriting, which eventually I fillet for the good bits, or at least the legible bits – I type those up, and from then on its all typing. I’m an obsessive re-writer. A word processor makes that easier, and leaves no trace of the mess and muddle, which hoodwinks me into thinking it might be ok.
Poetry, often. I don’t read poetry at any other time. I break off every 20 mins or so to read a poem, otherwise the words in my head start to taste very stale. A poem can be like a glass of water. I also read novels, far more novels than when I’m not writing – I keep hoping the next book will contain all the answers to my own writerly dilemmas. Ideally I’d like simply to copy out 220 pages of someone else’s book. I’m beginning to fear I may have outgrown love. I’m happy just to find a book I don’t dislike. I enjoyed the company of Coetzee’s ‘Summertime’ recently. Anthony Buckeridge, According to Jennings; James Joyce, A Portrait of the Artist as a Young Man; Ian McEwan, The Cement Garden. I’d read, now and then. But mostly I’d do pottery. 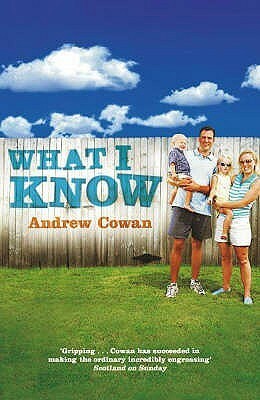 You are currently reading The Three Rs: Andrew Cowan at Slightly Bookist.